Kingfisher Airlines Limited was an airline group based in India. Through its parent company United Breweries Group, it had a 50% stake in low-cost carrier Kingfisher Red. Until December 2011, Kingfisher Airlines had the second largest share in India's domestic air travel market. However, the airline ran into continuous losses since its inception, ran high debts and finally closed its operations in 2012. Its chairman Vijay Mallya subsequently fled to London to hide from creditors. Kingfisher Airlines was established in 2003. It was owned by the Bengaluru based United Breweries Group. The airline started commercial operations on 9 May 2005 with a fleet of four new Airbus A320-200s operating a flight from Mumbai to Delhi. It started its international operations on 3 September 2008 by connecting Bengaluru with London. Kingfisher's head office was located in the Kingfisher House in Vile Parle (East), Mumbai, but later moved to The Qube in Andheri (East), Mumbai. Its registered office was located in UB City, Bengaluru. In November 2005, during the World economic forum, the airlines CEO Vijay Mallya announced the airlines intention to launch an IPO to raise 200 million dollars for the airlines expansion and possible takeovers (including that of Air Sahara which was being eyed at that time). It later transpired that the airlines was already heavily in debt and going each year in heavy losses. Ever since the airline commenced operations in 2005, it reported losses. The acquisition of loss-making Bangalore-based Air Deccan in 2007 made matters worse. It was believed that Vijay Mallya and his team failed to follow due diligence with the airline and that it was this deal that brought down his empire; courtesy of N M Rothschild consultants who brokered the deal. An initial name change to Simplifly Deccan, followed by Kingfisher Red, and promotion as the domestic budget Kingfisher airline failed to stem losses and Kingfisher suffered a loss of over ₹10 billion (US$140 million) for three consecutive years. On 28 September 2011, Vijay Mallya announced that the company would soon stop operations of Kingfisher Red as it did not believe in low-cost operations any longer. In a disclosure statement to the Bombay Stock Exchange (BSE), he explained: "The company has incurred substantial losses and its net worth has been eroded. However, having regard to improvement in the economic sentiment, rationalization measures adopted by the company, fleet recovery and the implementation of the debt recast package with the lenders and promoters including conversion of debt into share capital, these interim financial statements have been prepared on the basis that the company is a going concern and that no adjustments are required to the carrying value of assets and liabilities." This filing was widely covered by Indian and international print and electronic media and analysts. Kingfisher Airlines Lenders later stated they considered the company viable. On 15 November 2011 the airline released poor financial results, indicating that it was "drowning in high-interest debt and losing money". Mallya indicated that his solution was for the government to reduce fuel and other taxes. The government was engaged in assessing whether to bail out the company and other airlines or let market forces determine which survived. In December 2011, for the second time in two months, Kingfisher's bank accounts were frozen by the Mumbai Income Tax department for non-payment of dues. It owed ₹700 million (US$9.7 million) to the service tax department at the time. By early 2012, the airline accumulated losses of over ₹70 billion (US$970 million) with half of its fleet grounded and several members of its staff going on strike. Kingfisher's position in top Indian airlines on the basis of market share had slipped to last from 2 because of the crisis. Mallya was looking for buyers for the Vile Parle Kingfisher House. With the freezing of the bank accounts of the airline by the Indian Income Tax Department, the airline was in financial disarray. On 20 October 2012, Kingfisher's licence was suspended by the Directorate General of Civil Aviation after it failed to address the Indian regulator's concerns about its operations. On 25 February 2013, its international flying rights and domestic slots were scrapped by the Indian aviation authorities. In July 2014, Kingfisher Airlines' indebtedness appeared as the country's state-owned banks' top non-performing asset after failing to repay loans of over ₹40 billion (US$560 million). On 2nd March 2016 after nearly three years of the bankruptcy of Kingfisher Airlines, the consortium of 13 Indian Banks led by State Bank of India moved the Debt Recovery Tribunal to recover its dues which included Rs 9,000 crores owed by its promoter Vijay Mallya . By that time Mallya had left India for the UK despite court proceedings by Indian banks initiated against him. Two years later the British Courts ordered extradition of Mallya after a prolonged legal battle and Mallya could be brought back to India if his appeal against the court order is not turned down. . The airline's first long-haul destination was London, England, which was launched in September 2008. It had plans to launch long-haul flights to cities in Africa, Asia, Europe, North America and Oceania with deliveries of new aircraft. All long-haul routes were operated on the Airbus A330-200. On the day of suspension of all international operations, 10 April 2012, Kingfisher Airlines served 25 domestic destinations within India. At that time, all routes were operated with the Airbus A320 family, ATR 42s and ATR 72 aircraft. Kingfisher Airbus A340-500. Six of them were ordered in 2006 and scheduled for delivery in 2008 for the airline's planned non-stop service from Chennai to San Francisco but orders were cancelled after five were built. At the time the airline ceased operations, it had Airbus A320, Airbus A350 XWB and Airbus A380 aircraft on order. The domestic Kingfisher First, offered on some Airbus A320 family aircraft only, provided seats with a 48-inch pitch and 126-degree recline. There were laptop and mobile phone chargers on every seat. There was also a steam ironing service on board Kingfisher First cabins. Every seat was equipped with a personalised IFE system with AVOD which offered a wide range of Hollywood and Bollywood movies, English and Hindi TV programmes, 16 live TV channels and 10 channels of Kingfisher Radio. The domestic Kingfisher Class had 32-34 inch seat pitch. Every seat was equipped with personal IFE systems with AVOD on board the Airbus A320 family aircraft. As in Kingfisher First, passengers could access movies, English and Hindi TV programmes, a few live TV channels powered by DishTV, and Kingfisher Radio. 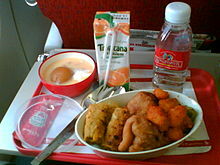 Passengers were served meals on most flights. Before take-off, passengers were served bottled lemonade. Kingfisher offered an international business/first product called Kingfisher First which featured full flat-bed seats with 180-degree recline, pitch of 78 inches and width of 20-24.54 inches. Passengers were given Merino wool blankets, a Salvatore Ferragamo toiletry kit, pyjamas, five-course meals and alcoholic beverages. Also available were in-seat massagers, chargers and USB connectors. Every Kingfisher First seat had a 17-inch widescreen personal television with AVOD touchscreen controls and offered 357 hours of programming content spread over 36 channels, including Hollywood and Bollywood movies along with 16 channels of live TV, so passengers could watch their favorite TV programmes live. There was also a collection of interactive games, a jukebox with customisable playlists and Kingfisher Radio. Passengers are given BOSE noise cancellation headphones. The service on board the Kingfisher First cabins included a social area comprising a full-fledged bar staffed with a bartender, a break-out seating area just nearby fitted with two couches and bar stools, a full-fledged chef on board the aircraft and any-time dining. A turn-down service included the conversion of the seat into a fully flat bed and an air-hostess making the bed when the passenger is ready to sleep. The international Kingfisher Class seats offered a pitch of 34 inches, width of 18 inches and recline of 25 degrees (6 inches). Passengers received full-length modacrylic blankets and full-size pillows. Each Kingfisher Class seat had a 10.6 inch widescreen personal television with AVOD touchscreen controls. The IFE was similar to that of the international Kingfisher First class. Kingfisher's IFE system was the Thales TopSeries i3000/i4000 on board the Airbus A320 family aircraft, and Thales TopSeries i5000 on board the Airbus A330 family aircraft provided by the France-based Thales Group. Kingfisher was the first Indian airline to have in-flight entertainment (IFE) systems on every seat even on domestic flights. The inflight magazines were special editions of magazines owned by Mallya's media publishing house (VJM Media) viz. Hi! Blitz for domestic flights and Hi! Living for international flights. Initially, passengers were able to watch only recorded TV programming on the IFE system, but later an alliance was formed with Dish TV to provide live TV in-flight. The frequent-flyer program of Kingfisher Airlines was called the King Club in which members earned King Miles every time they flew with Kingfisher or its partner airlines, hotels, car rental, finance and lifestyle businesses. There were four levels in the scheme: Red, Silver, Gold and Platinum levels. Members could redeem points over a number of schemes. Platinum, Gold and Silver members enjoyed access to the Kingfisher Lounge, priority check-in, excess baggage allowance, bonus miles, and Kingfisher First upgrade vouchers. Kingfisher Xpress was a Door-to-Door cargo delivery service launched in February 2010, being the first such service in India promising same-day pick-up in Mumbai, New Delhi, Bangalore, Hyderabad, Chennai and Kolkata and delivery in up to 18 cities, namely, Bagdogra, Bangalore, Chennai, Coimbatore, Delhi, Kochi, Goa, Guwahati, Hyderabad, Indore, Kolkata, Mumbai, Raipur, Ranchi, Lucknow, Nagpur, Pune and Srinagar. A money-back guarantee was offered. On 10 November 2009, Flight 4124 to Bhavnagar operated by ATR 72-500 VT-KAC, skidded off the runway after landing at Chhatrapati Shivaji International Airport. The aircraft suffered substantial damage, but all 46 passengers and crew escaped unharmed. In November 2010, the Directorate General of Civil Aviation released its final report into the accident. It revealed that the cause of the accident was pilot error, with the aircraft landing at too high a speed and too far down Runway 27A, which was the designation given to Runway 27 whilst it was being operated at a reduced length due to the closure of Runway 14/32 for maintenance. ^ a b "Kingfisher Airlines". ch-aviation. Retrieved 26 February 2017. ^ "7340.1Z - Contractions" (PDF). Federal Aviation Administration. 15 March 2007. p. 3–1–55. Retrieved 26 February 2017. ^ "Airline Membership". IATA. Archived from the original on 11 July 2015. ^ "KFA Office". KFA. Archived from the original on 12 March 2013. ^ Giriprakash, K (12 November 2011). "The rise and fall of a castle in the air". The Hindu. Retrieved 3 February 2018. ^ Kazmin, Amy; Barber, Lionel (5 May 2016). "The fall of Viyay Mallya". Financial Times. Retrieved 3 February 2018. ^ "Kingfisher Airlines to take wings on May 9". Dancewithshadows.com. 9 May 2005. Archived from the original on 12 November 2010. Retrieved 30 August 2010. ^ "Contact Us Archived 12 May 2013 at the Wayback Machine." Kingfisher Airlines. Retrieved on 25 August 2009. "Kingfisher Airlines Limited Kingfisher House Western Express Highway Vile Parle (E) Mumbai - 400099 India "
^ " "Archived copy". Archived from the original on 12 March 2013. Retrieved 25 February 2013. CS1 maint: Archived copy as title (link)." Kingfisher Airlines. Retrieved on 12 January 2012. 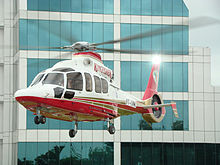 "Kingfisher Airlines Limited Kingfisher Airlines Limited The Qube, C.T.S. No. 1498 A/2, 4th Floor, M.V. Road, Marol, Andheri (East), Mumbai - 400 059 India "
^ ENS Economic Bureau. "Jet, Kingfisher trying to fly in formation." Indian Express. Tuesday 14 October 2008. Retrieved on 25 August 2009. ^ "Kingfisher IPO in 2006". Rediff news. 29 November 2005. Retrieved 26 January 2018. ^ Upadhyay, Jayshree; Nair, Vishwanath; Sapam, Bidya (18 March 2016). "Mallya case: Sebi probing allegations of round-tripping of USL shares". Livemint. Retrieved 26 January 2018. ^ "Kingfisher buys control of Air Deccan". Times of India. 1 June 2007. Retrieved 20 August 2012. ^ Kasli, Shelley (11 September 2016). "What Has A Secret Account In Rothschild Bank To Do With The Kingfisher Deal?". GreatGameIndia Magazine. ^ "Kingfisher to exit low-cost airline operation". CNN IBN. 28 September 2011. Retrieved 28 September 2011. ^ "Vijay Mallya grounds low-cost carrier Kingfisher Red". NDTV. 28 September 2011. Retrieved 28 September 2011. ^ "Reuters News". 15 September 2011. ^ Chowdhury, Anirban; Choudhury, Santanu (15 September 2011). "Lenders Confirmation". The Wall Street Journal. ^ Niles, Russ (15 November 2011). "Indian Airlines In Crisis". AVweb. Retrieved 17 November 2011. ^ "Kingfisher Airlines, Air India bank accounts frozen by Mumbai service tax dept over dues". India Today Online. 8 December 2011. Retrieved 9 September 2017. ^ "Kingfisher house, Gandhi relics up for sale?" Mid Day. 12 March 2012. Retrieved on 15 March 2012. ^ "Mallya's Kingfisher Airlines is king of defaulters at Rs 4,022 crore". Patrika Group (17 July 2014). Retrieved 17 July 2014. ^ "India's Kingfisher Airlines ends overseas flights". BBC News. 10 April 2012. ^ "Kingfisher Airlines and American Airlines enter into Codeshare Agreement". Kingfisher Airlines official website. 23 November 2010. Archived from the original on 25 November 2010. Retrieved 23 November 2010. ^ "Kingfisher Airlines Fleet". Flykingfisher.com. 15 August 2010. Archived from the original on 24 August 2010. Retrieved 30 August 2010. ^ Skytrax News. "Kingfisher Airlines unveiled new Airbus A330-200 designed to take the customer experience to the highest quality level". Airlinequality.com. Retrieved 30 August 2010. ^ Ravi Teja Sharma / New Delhi 5 October 2006 (5 October 2006). "Airborne again: IFE systems". Business-standard.com. Retrieved 30 August 2010. ^ "Kingfisher partners with Dish TV". Techtree.com. 9 December 2006. Archived from the original on 20 November 2008. Retrieved 30 August 2010. ^ "Kingfisher's new 'Xpress' cargo service". Routesonline. 29 January 2010. Retrieved 8 September 2010. ^ "Accident description". Aviation Safety Network. Retrieved 11 November 2009. ^ "Report on Serious Incident to M/S Kingfisher Airlines ATR-72 Aircraft VT-KAC at Mumbai on 10.11.2009" (PDF). Directorate General of Civil Aviation. Retrieved 25 November 2010.